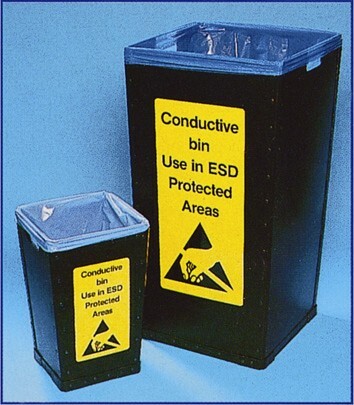 Application: This large capacity bin has all the ESD properties to contain unwanted materials in the ESD work areas. The 2 sided ESD logo printing creates awareness of ESD sensitive areas. Optional: Inner antistatic garbage bags sold separately.